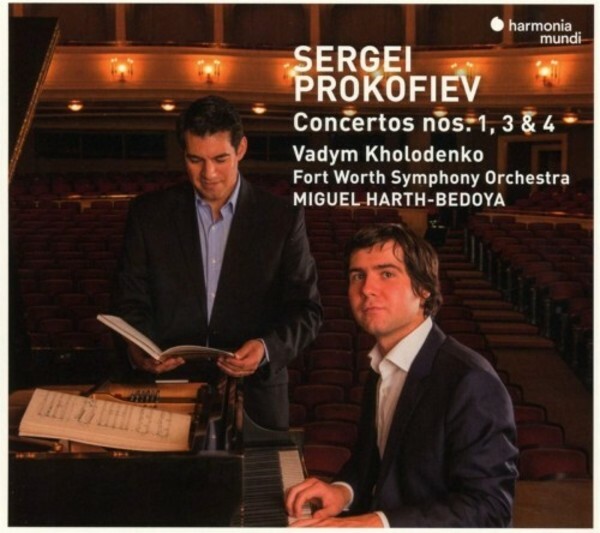 2013 Cliburn Gold Medalist Vadym Kholodenko became the first-ever "Artistic Partner" with the Fort Worth Symphony Orchestra beginning in 2014/15. He now concludes his complete cycle of Prokofiev piano concertos, which opened with Nos. 2 and 5. The three works heard here were composed over a span of two decades (1911-1930) and met with widely uneven reception, which ranged from the great popularity and critical acclaim in the case of No.3 � to incomprehension and neglect, when it came to No.4 (the 'other' concerto for the left hand alone).